Are You The Dream Candidate? Do you want to not only be the best candidate, but the only one the company wants to hire for your dream job? Is there a company you are dying to work for but can't figure out how to get your foot in the door? The answer is to become the dream candidate for the job. What is A Dream Candidate? A dream candidate is the perfect hire .... not only the right and best person for the job, but the only one the company wants. Dream candidates don't compete for jobs because they are seriously the only one the hiring manager will consider for the job. And they will wait for you to become available, or make a job in order to bring you on board the company. These are people that managers dream of finding and hiring, but far too often they remain a dream. Like the story of the "Big ONe" who got away ... there are fish in the sea of workers who are gems, true treasures ... and bringing one on board is like winning the Super Bowl in hiring. People often think that dream candidates are too perfect for the job to be true , or won't be interested in it. But if the job is your dream job ... then it is a match made in Heaven between employer and employee. A dream candidate is not someone who is overqualified, taking the job just to fill in until their real dream job shows up, settling for something because they need a job fast, or using it as a stepping stone to a better job. They are not someone who wants their boss's job, or to learn all the insider information and then jump to a competitor or start up a competing business of their own. They are not looking to score points, climb over people, or assuage their egos. The simply love what they do, are excellent at it, and bring an enthusiasm and joy to the workplace that makes it better for their being there. If you are new to the idea of there being dream candidates, this will help you understand a bit more about them. A dream candidate is uniquely qualified for the job and excels at the major tasks of the job, and is enthusiastic about learning more. They quickly master the job but do not outgrow it .. unless the company needs them to help out in other areas. Well versed in the basic skills of the job, they also bring a wealth of knowledge and ideas to what they do. They love to solve the problems the job entails, and bring together the right people, resources and urgency to get the problem solved. They not only love what they do, but they look out for the company's interests while doing it. The think about the bigger picture, noticing problems and glitches before they occur. They like or love the company, and enjoy working there. Many are great at helping recruit other great people into the company. As a true asset, they contribute not only to the bottom line, but to what makes the company so great to work for ... helping their co-workers out when they need it and adjusting to the needs of the company. As a good steward of the company's reputation. goodwill and assets ... they are not only ambassadors for the company, but advocates for it. To them, this is not just any job .. but a job they love, or their dream job. So they understand the How's and Why's behind what they do. They take responsibility for their work and its impact, and can improve upon it. Any hiring manager can tell you that half of the job interview is getting the right fit in terms of personality and attitude. A rotten, soured apple or employee can spoil a work environment .. so it is important that everyone can not only get along, but work in harmony. Infighting, petty turf battles, undermining , malicious compliance .. and all the other ways coworkers and employees squabble, fight for recognition and rewards .. end up ruining a workplace and make it a drag to work in. Dream candidates are easy to get along with and quickly become an invaluable member of the staff. They are reliable, trustworthy, honest, caring, responsible, smart, intuitive with a keen sense of justice and fair play. And that makes them great coworkers and bosses. 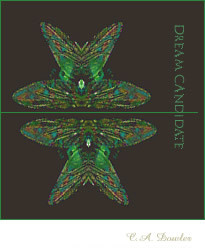 Do Dream Candidates Really Exist? They do, but usually they are so hard to find. You can look through 10,000 resumes and not find a single one. But the secret is that if you know what your dream job is ... you can turn yourself into a dream candidate for it. A person who is uniquely qualified to do the job ... well prepared with all the right skills, work experience , industry knowledge and innovative ideas. Well read in your field with a solid .. make that amazing reputation ... that anyone would want to hire. Because so many people are just looking for a job, any job or will settle for a good one ... you can knock the socks off your interviewer and hiring manager ... and the shine off your competition. Most people you are competing against do not know or care what their dream job is ... and probably are not going to love the job if they get it. And interviewers and managers can tell that. To become a dream candidate you have to prepare for it. But not the way everyone else is ... just taking classes and going through the motions. It means investing in getting the right skills, learning about your industries problems and knowing how you can help the company become more successful and profitable. Some people may think you are going overboard ... or over the top. But if you are scuba diving or climbing a wall .. that is what you need to do. You don't get halfway over a wall or half way hired. Its an all or none deal. And so it takes an all out effort to focus on what you love to do and prepare to spend a lifetime doing it. That means getting the right skills and taking them to a level where you excel at using the tools, materials, processes and practices of the job. More than just showing up for a class or getting a degree .. you need to have mastered the skills and already have the experience so you can show up the first day ready to work and get things done. And nothing shows that like examples of your work in an awesome work portfolio. Every industry has its share of challenges ... and knowing what these are is proof that you belong in the industry. And every hiring manager knows if they don't hire you .. their competition just might. So writing a few white paper (business speak for term papers) is a great way to show that you have it, and showcase your ideas. There is nothing as appealing as a new hire who can hit the ground running ... and start doing a great job. That means that prior or similar experience really pays off. It does not take much, just the right amount so you can feel confident you can tackle and excel at the work the company needs you to do now or in the near future. A lot of that experience you can get easily if it is your dream job .. because you love to do it anyway. If there is a way to do it in your present job, then you volunteer for it. Or you spend weekends or vacations doing it and getting the experience you need. , industry knowledge, work experience , contacts and resources to be the only one being considered for the position. If you have done the work ... it will be easy for the interviewer and your future boss to see why you are like the perfect snowflake ... no one else comes close to being the right one to hire. You need to create a clear and compelling case why you are the right person at the right time for the right job. But yo do not need to overdo it, instead letting your strong work portfolio knocks their socks off and do most of the selling for you. Search firms and placement companies know that dream candidates come along once in a blue moon ... but that is what they get paid to find. And matching dream candidates with great employers grows their business and reputations, as well as fee schedule. Like a dating service, they get paid for doing all the footwork, fact checking and introductions ... once a match is made. But if you do not yet know what your dream job is, you need to go discover what your dream job is ... and learn how to find your dream job.